Discover how the tumultuous life and times of this ancient family reveal the character of our Creator and the lifechanging plans he has for us. Abraham, Sarah, Isaac, Rebekah, Jacob, and Joseph…names that echo down through the ages and are still of interest to billions of people in our world. But why? Are these people—and their compelling stories—really relevant to us today? In these 10 studies from chapters 12-50 of the Old Testament book of Genesis, you’ll see just why these ancient lives continue to be vitally important for our modern world. You’ll discover how the tumultuous life and times of this ancient family reveal the character of our Creator and the lifechanging plans he has for us. 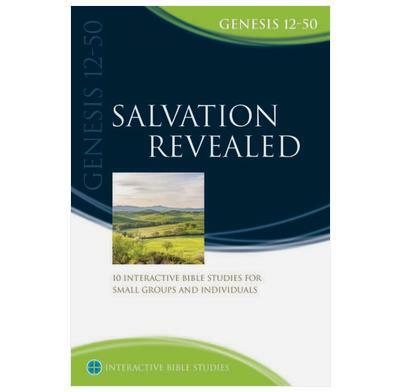 The timeless story of Genesis shows that the God who made the heavens and the earth also planned and revealed salvation—a salvation that would eventually reach to the very ends of the earth.